Researchers are gearing up for phase two of a project involving simulating oil spills at a freshwater research facility in northwestern Ontario. The project, which began in the summer of 2018, is looking at the impact of oil spills on freshwater environments, as well as examining cleanup methods, explained Vince Palace, head research scientist for the Experimental Lakes Area, which is run by the International Institute for Sustainable Development (IISD-ELA). Palace noted that, in particular, they're looking for environmentally friendly ways to clean up "residual oil." "If you think about sort of rinsing the dishes, there's always a little bit of residual soap on there," he explained. "We want to study ways to degrade that residual oil — the oil that's not recoverable after a spill — in a way that's least damaging to the environment." Researchers will experiment with use of shoreline cleaners, and other treatment methods such as using nutrients to stimulate natural bacteria that eat the oil, he said. On Monday night, Palace will give a public presentation at Lakehead University, in Thunder Bay, Ont. explaining the research, as part of their efforts to be transparent about the project, he said. It will also be an opportunity to highlight the safety measures that are in place, to make sure no oil contaminates the natural environment. "We've had some questions before about, 'well, how can you just dump oil into a pristine lake?' That's not what we're doing." While many studies at the Experimental Lakes Area use entire lakes, that's not the case with the oil spill study, which is being conducted using shoreline enclosures, measuring five by 10 metres. The enclosures are one of four lines of defence, and scientists are continually monitoring to make sure no oil is getting out. 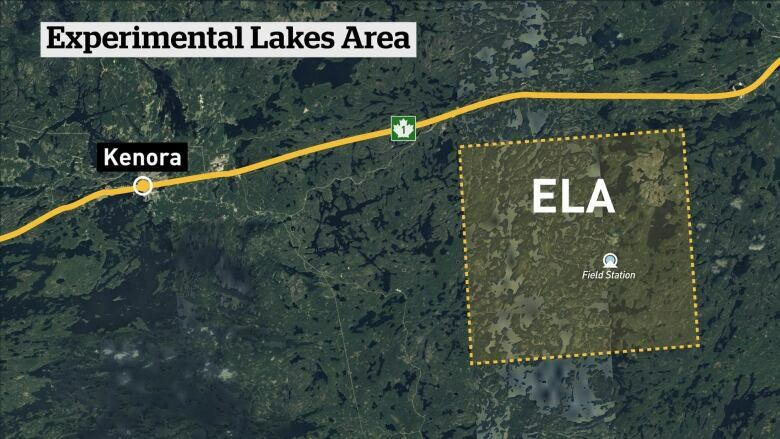 The IISD-ELA wants stakeholders, including the public, and industry to be engaged in the project, which could impact future policies, and oil spill cleanup procedures, Palace said. The public presentation takes place Monday, April 15 at 7 p.m. in room 1001 of Lakehead University's ATAC building.